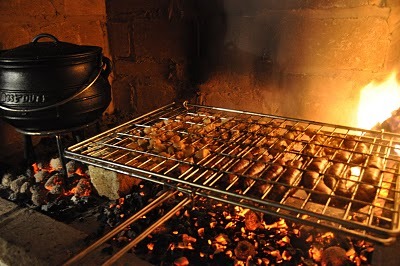 Barbecuing meat is a national pastime of South Africa. The outdoors is very popular with South Africans and therefore you often find South African taking chops, sausages and other meats on their jaunts into the wild. Other meats that are used for example can be rump steak and pork braai chops. A very simple meal is pork neck steak on the coals. Finally Portuguese bread-rolls will complement the Pork neck steaks. 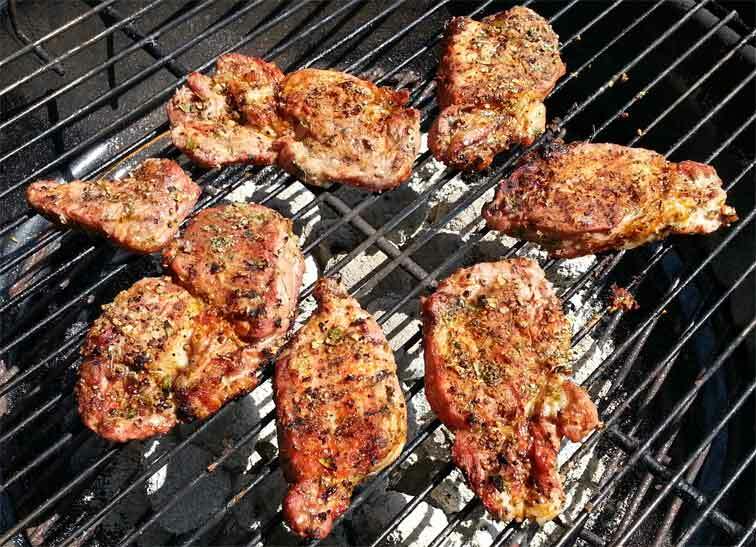 Braai the Pork neck steaks over moderate-warm coals for about 10 – 15 minutes until the meat is medium rare. Both sides are sealed by the heat of the fire. Apply the mustard to meat. Finally you divide the cheese to each piece of meat and let the heat melt the cheese. The bread rolls are cut in the middle and you place the pork neck steaks with the mustard and the melted cheese together. 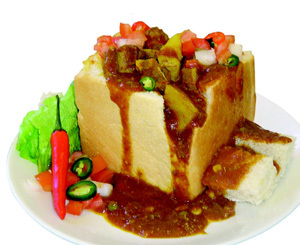 There you have a delicious and simple South African meal.